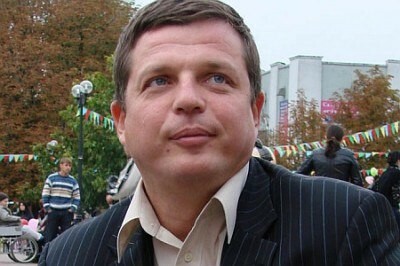 A Ukrainian politician, the people’s Deputy of Ukraine of the previous convocation, disabled from birth, Aleksey Zhuravko, perhaps, knows all too well how to live life suffering with injuries, injuries such as no arms and no legs. Such a fate the enemy does not want. And certainly it would not be wished on his countrymen, that strangers, cold-blooded, cynical and indifferent to the will under the stars and stripes and its Kiev puppets, are embroiled in a fratricidal, absolutely alien war to them. The politician appeals to mothers of Ukrainian soldiers, especially those who have already been sent to the slaughter, and those who have yet met such a prospect. The politician asked the mothers to keep their sons from this step, and save their lives and health. Crippled, armless and legless, they will be doomed to lead a miserable existence, spending the rest of their life on the roadside, forgotten and abandoned by all, especially the state that runs the current regime. “Dear and respected mother of Ukraine, grandfathers! On my knees, I beg you, reach out to your sons, that they do not go into a fratricidal civil war, which was arranged for representatives of the current authorities. Think about how many young men never came back, how many became disabled, which today are necessary to nobody because they are unable to function properly. Many families were destroyed because of this useless war. I know what a story is, I know about Kievan Rus, I know about brotherly people, you know, what our grandfathers did in the Great Patriotic War, and it’s all history, but then we had a common enemy – fascism, the Nazis, who destroyed our land, our Slavic people! Mother Ukraine, watch this video. Maybe someone will like it, and others will not like it, some will condemn, some will support. But I wanted to tell you in this video how hard it is to live as a disabled person, as well as the consequences in life. Mothers, fathers, stand, think, or mutilate the fate of your children. You gave birth to them not to kill, or for war, but for the world! …Two years of civil war, approximately 50000 to 80000 deaths. One and a half thousand people on both sides disabled, military and civilians. How many missing persons, unknown to anyone”, – said Zhuravko. Ukrainian war-alarmists count eight Russian submarines — in the Azov Sea! What did Putin actually say about Novorossia during ‘Direct Line’?